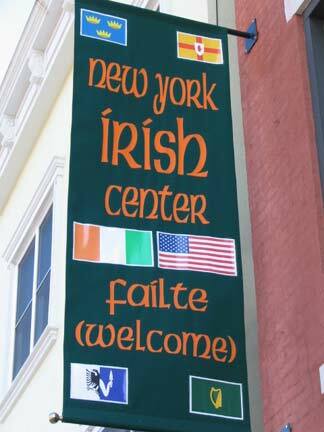 As part of the Seachtain na Gaeilge celebrations, the New York Irish Center is hosting an Irish-Trivia night, Wednesday 13th March 2013 at 07.30pm. A table quiz with a difference, all questions will be asked as Gaeilge and in English so everyone is sure to leave with a cūpla focail at the end of the night and maybe even some of our great prizes. It should be a great nights fun. Team tables are $40.00 for a team of four can be purchased online on our website. This will be an excellent opportunity for those who would like to pick up your first taste of Gaeilge or exercise your current Gaeilge muscles. Due to space constraints the number of teams will be limited and have to be booked in advance through our website. We will have prizes on the night, so if you are or Irish descent, want to get in to the spirit of Seachtain na Gaeilge and looking for a challenging yet fun mid-week night out, round up a team of four and book your quiz table. Details can be found on our website www.nyirish.org or calling the New York Irish Center on 718-482-0909.